On Tuesday, September 6 we explored the parts of a plant. The students "dissected" soybean plants. We described and illustrated the stem, roots, leaves, and seeds. The students were surprised by how fuzzy the stems were and how many seeds were on each plant. This was a great way to reinforce information we had read about in our Science textbook. 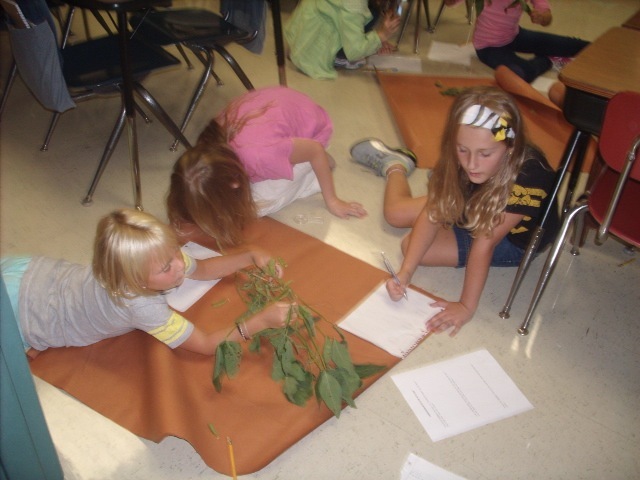 A big thank you goes out to Mr. Hoskins for donating the soybean plants to our class!